The earliest state parks in the United States date back to the mid 1800s, and today, the 50 states collectively manage well over 6,000 state park units that draw in over 700 million annual visitors. After four weeks of voting, the polls are closed and the winners of the USA TODAY 10Best Readers' Choice award for Best State Park have been chosen. 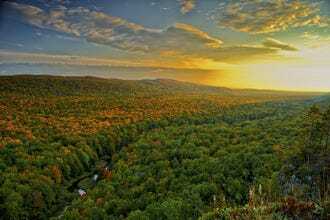 The Porcupine Mountains Wilderness State Park, or the "Porkies" as its known to frequent visitors, encompasses 60,000 acres of lakes, rivers and virgin forest. 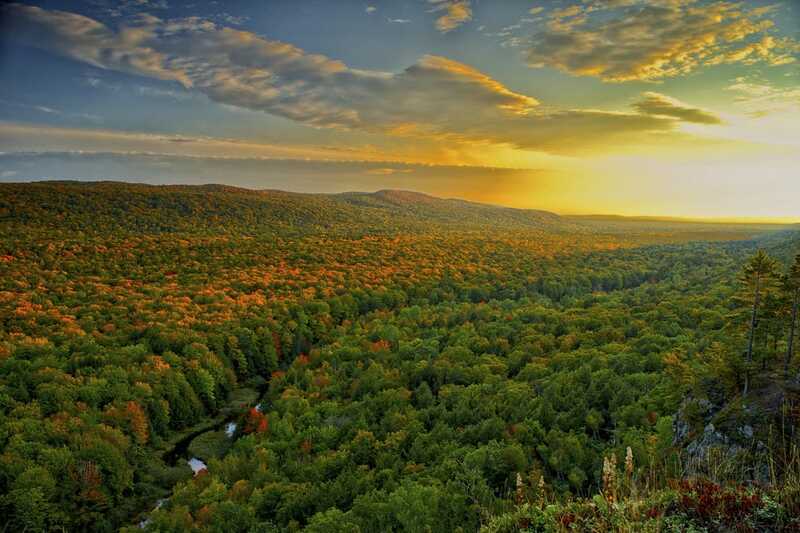 The park offers camping on the shores of Lake Superior, 90 miles of hiking trails, kayak rentals, mountain biking and, in the winter, access to the Porcupine Mountains Ski Area. 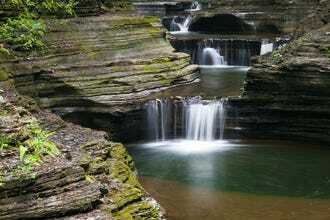 Located in the scenic Finger Lakes region of New York, Watkins Glen State Park features an amazing 19 waterfalls. As visitors walk along the glen, the stream cutting through the park descends more than 400 feet with 200-foot cliffs to either side, all within the space of 2 miles. The result is some truly breathtaking scenery. 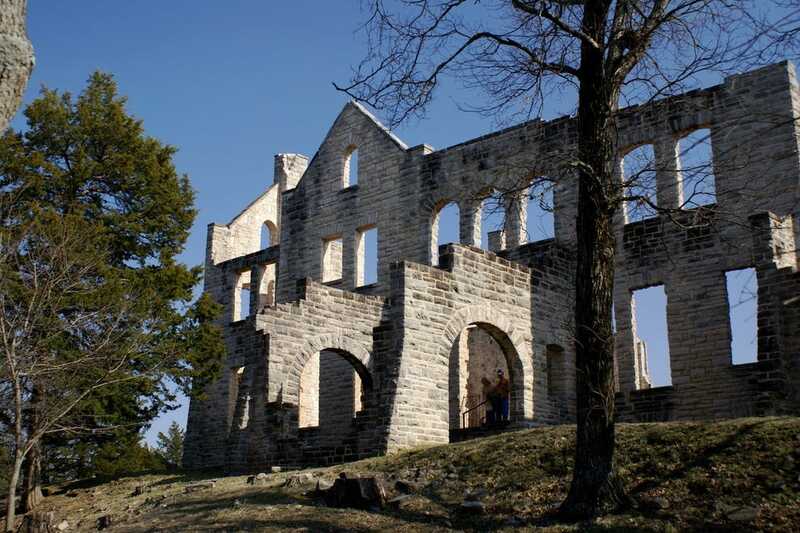 Perched on the Lake of the Ozarks in Missouri, Ha Ha Tonka State Park is equal parts nature and history. The central landmark of the park is the ruined European-style stone castle, built in 1905 by a local businessman, atop a bluff overlooking the lake. More than 15 miles of trails wind through the park, and picnicking, fishing and camping are also available. One of the top destinations in the Midwest for rock climbing, Devil's Lake State Park is famous for its 500-foot quartzite bluffs created by glacial activity tens of thousands of years ago. The 9,217-acre park is also home to a nature center, several American Indian burial mounds, portions of the Baraboo Mountain Range and 41 miles of hiking trails. 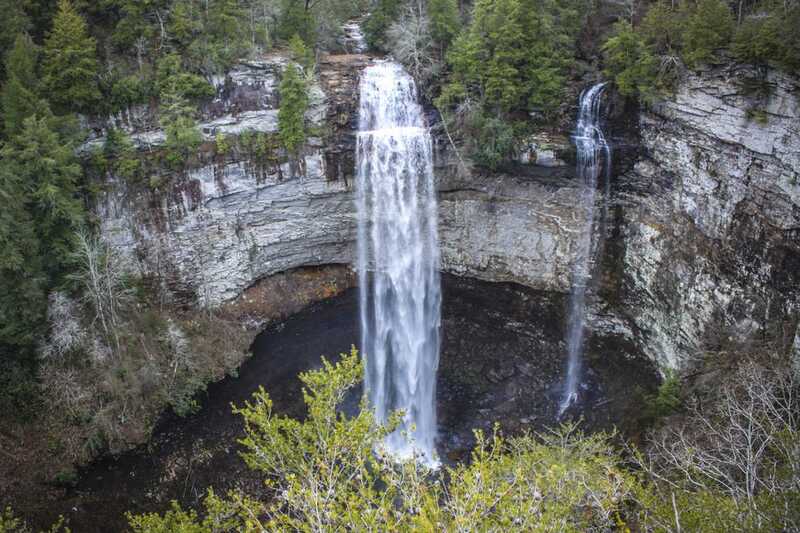 Fall Creek Falls, Tennessee's largest and most visited state park, gets its name from the 256-foot cascade – one of the highest in the eastern United States – that numbers among the park's many other waterfalls and gorges. The park encompasses 26,000 acres and more than 34 miles of trails, ranging from short day hikes to two long-distance overnight trails. A nature center, golf course, horse stables, playgrounds and picnic pavilions add to the appeal. 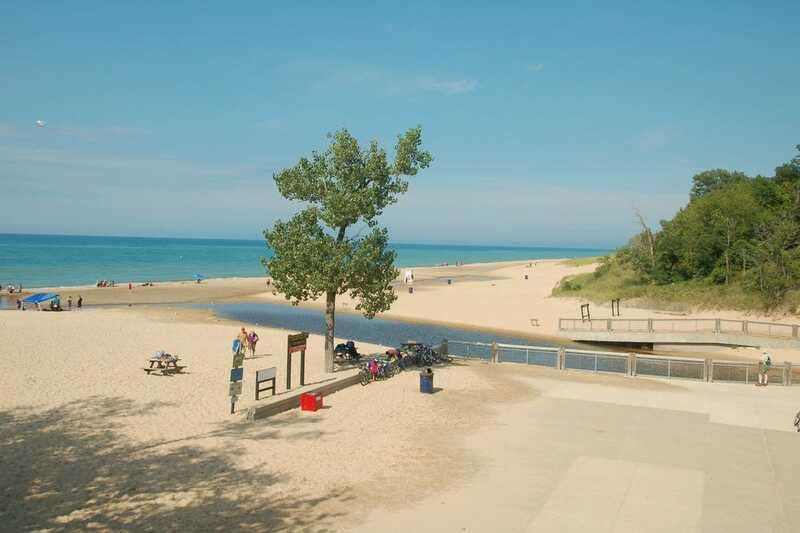 Indiana Dunes State Park on the southern coast of Lake Michigan protects 2,182 acres of Hoosier landscape, including just over 3 miles of beach fronted by large sand dunes, come rising more than 200 feet above sea level. In the warmer months, the park attracts hikers, swimmers and picnickers, while during the winter, cross-country skiing is available. 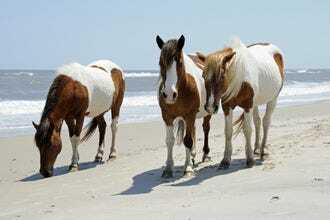 Maryland's only oceanfront state park, Assateague barrier island is sandwiched between the Atlantic and the Sinepuxent Bay. Just nine miles outside of Ocean City, this scenic seaside park offers 2 miles of ocean beaches perfect for swimming, sunning and shelling, as well as kayaking and canoeing opportunities in the bayside coves and marshes, where it's possible to spot waterfowl, deer and the island's famed feral horses. Located in the rugged Black Hills of South Dakota, Custer State Park protects 71,000 acres of terrain and a herd of some 1,300 bison – one of the largest publicly owned herds on the planet – who are known to stop traffic along the park's Wildlife Loop Road from time to time. Besides viewing elk, pronghorn deer, mountain goats and other park residents, visitors can summit Harney Peak, the park's tallest point, for sweeping views over the prairies, hills and granite needles that make Custer so unique. Hunting Island, South Carolina's most visited state park, attracts more than a million visitors each year. 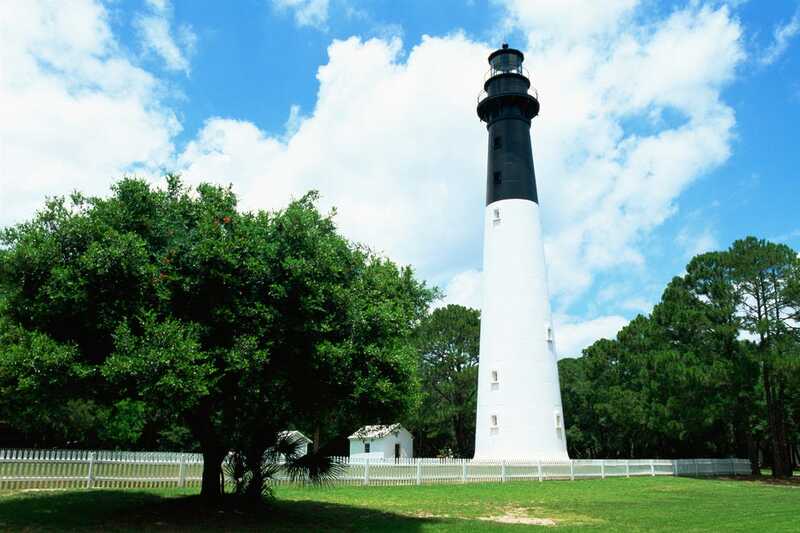 Many of them come to enjoy the 5 miles of pristine sandy beach, others to tour the only publicly accessible lighthouse in the state and still others to fish the saltwater lagoon or from the beach fishing pier. In the summer months, loggerhead sea turtles come to nest in Hunting Island State Park. It was neck and neck throughout the voting period between two parks, Letchworth State Park in New York and Porcupine Mountains Wilderness State Park in Michigan. 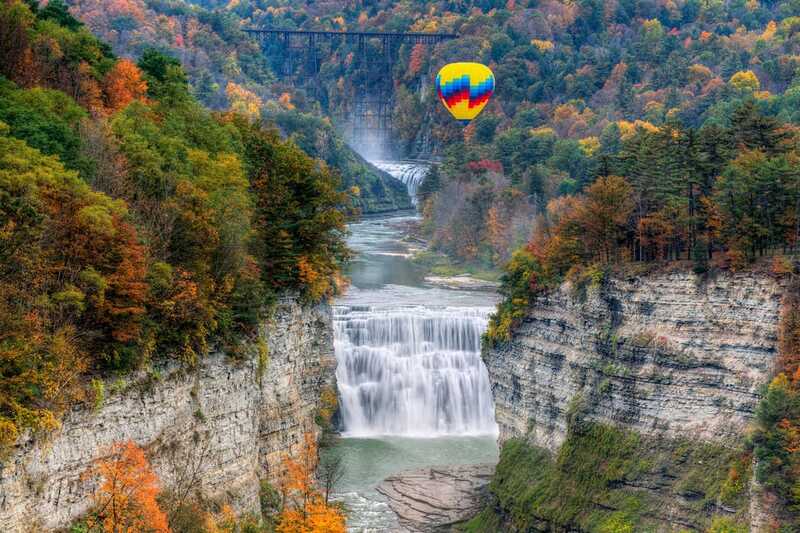 In the end, Letchworth State Park edged ahead and took home top honors. Letchworth State Park - N.Y.
Porcupine Mountains Wilderness State Park - Mich.
Watkins Glen State Park - N.Y.
Ha Ha Tonka State Park - Mo. Devil's Lake State Park - Wis.
Fall Creek Falls State Park - Tenn.
Indiana Dunes State Park - Ind. Assateague State Park - Md. 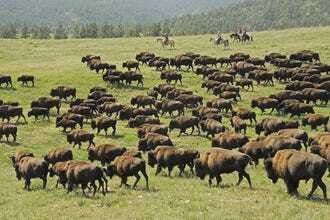 Custer State Park - S.D. Hunting Island State Park - S.C.
A panel of experts picked the initial 20 nominees, and the top 10 winners were determined by popular vote. Experts Fred Lochner (America's State Parks), Anna Hider (Roadtrippers), Karen Catchpole and Eric Mohl (Trans-Americas Journey), Mike Wendland (Roadtreking) and Diana Gerstacker (The Active Times) were chosen based on their extensive expertise in American travel and state parks. Other nominees included Hueco Tanks, Stone Mountain (N.C.), Weeki Wachee Springs, Antelope Island, Grayson Highlands, Hearst San Simeon, Valley of Fire, Humboldt Redwoods and Ecola State Parks. 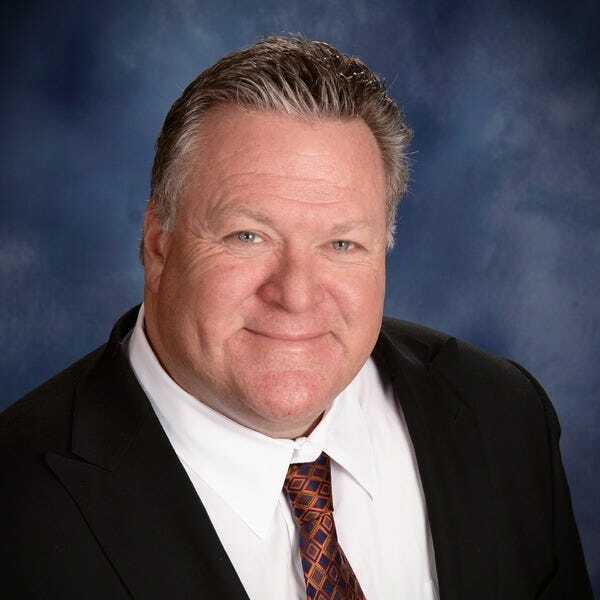 Fred Lochner is the founder of Imperial Multimedia imperialmultimedia.com a company dedicated to crafting unique and creative multimedia solutions that are not bound by traditional conventions or status quo. Fred has been a lifelong conservationist and a leader in promoting Americas State Parks by creating a dynamic website americasstateparks.org and other media channels that build a relationship with the public and educate them about the value of the nation’s nearly 8000 state parks. 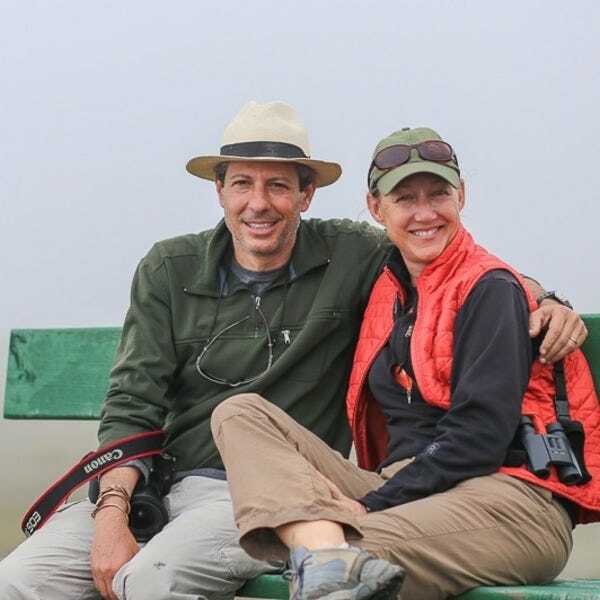 Fred created the Americas State Parks Ambassadors program that promotes healthy active outdoor lifestyles and connects children and families to nature through a nationwide core of millennial youth volunteer bloggers. In 2010 Imperial Multimedia was awarded the President’s award from the National Association of State Park Directors for his work in support of parks. In 2006 journalist Karen Catchpole and photographer Eric Mohl left their jobs and apartment in New York City and embarked on their ongoing Trans-Americas Journey working road trip through North, Central and South America. The SATW award-winning pair freelance from the road for outlets including Travel + Leisure, National Geographic Traveler, Afar, American Cowboy Magazine, BBC.com, Slate.com, RoadsandKingdoms.com, the Sunday travel sections of the Dallas Morning News and the Minneapolis-St. Paul Star Tribune other outlets. Follow their Trans-Americas Journey travel blog as their little road trip continues south. 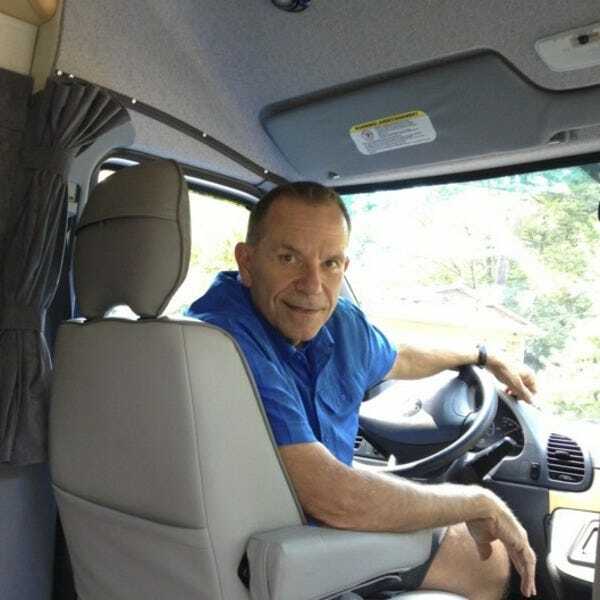 Mike Wendland is an Emmy-winning journalist who travels North America writing and videoing stories about camping, travel and the interesting people and places he encounters while RVing across North America for Roadtreking.com. 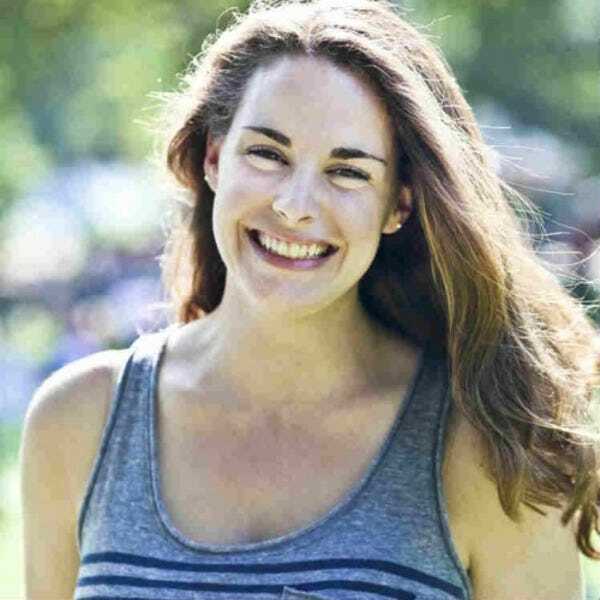 Diana Gerstacker is an Editor at The Active Times where she writes about travel, fitness and the outdoors. 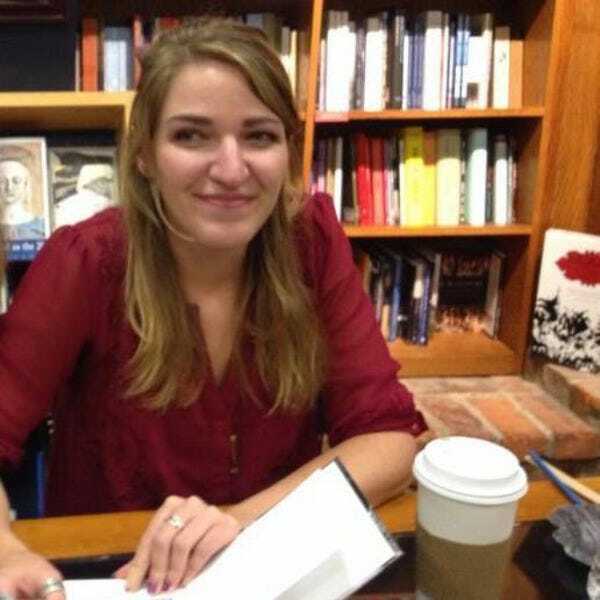 Her articles are frequently syndicated to the webpages of FoxNews, ThePostGame and Sports Illustrated. When not writing or editing, you can find her reading fiction, hiking or searching the world for the absolute best cup of dark roast coffee.